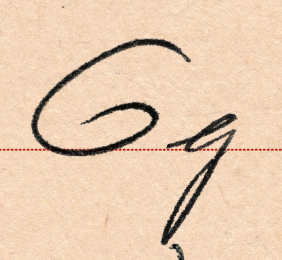 Cursive writing as a means to communicate is a fleeting practice. Students in grade schools are now being taught words per minute (WPS) on a keyboard versus the craft of communicating through cursive writing; making this art form close to extinction. This research focuses on resurrecting the past through typography. Not knowing where to start on this idea, I began mulling through random postcard findings at antique stores until one day it hit me: use something that is near and dear. 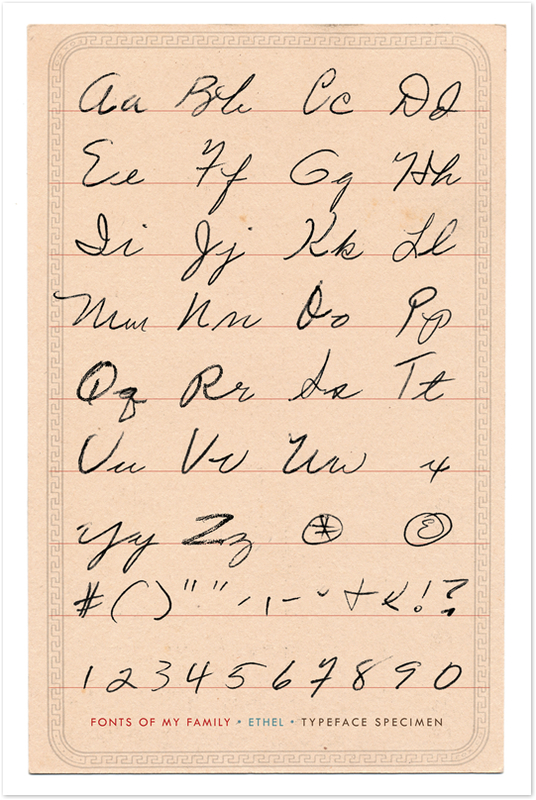 The topic for typographic documentation and discovery then began with my grandmother’s handwriting. Using scans from old postcards and handwritten notes, I’ve pulled apart each character to complete a typeface specimen. The creation of a typeface specimen will now be converted into a digital typeface, thus recreating the heritage of one’s character into typographic, digital characters on screen. The large format poster was displayed in a gallery setting to inform and raise the issue of cursive writing’s role in contemporary communication. The work announced the research and discussion of utilizing handwritings of the deceased in order to create digital typefaces for today.